Here at a sense of place we’re big appreciators of William Roscoe and all he did for the City of Liverpool and, well, for humanity generally. Helping to get the Transatlantic Slave Trade stopped, at considerable physical and financial risk to himself was no mean feat after all. Mount Pleasant, where William Roscoe was born, 1753. 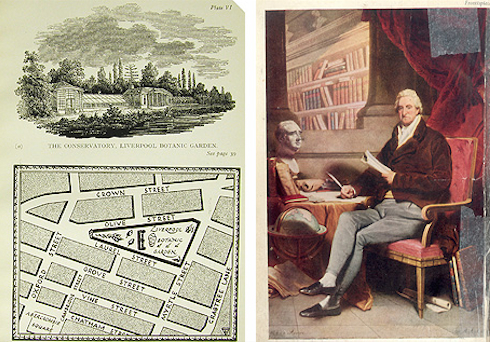 We followed his life, interests and achievements in two linked blog posts, early on in ‘It’s Liverpool in 1775’ and later in ‘It’s Liverpool in 1820’. But paid scant attention to his horticultural history, beyond his being born in a market garden on Mount Pleasant. Well today Sarah Horton puts that right with the tale of ‘Mr Roscoe’s Garden’ – its history, its importance and what we could all be doing now to save its legacy for future generations. Here’s Sarah. 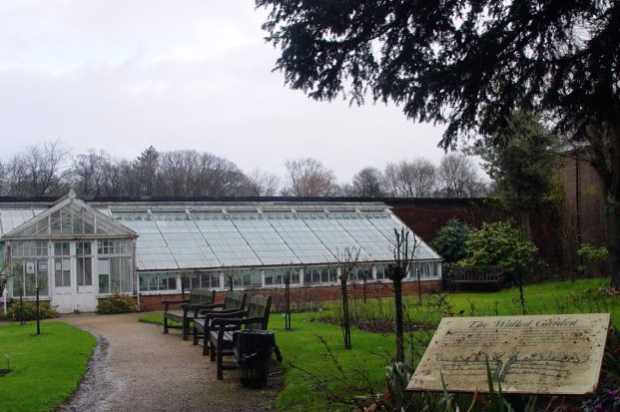 It describes a veritable cornucopia of botanical delights, saying they are displayed in the ‘Glass Houses of The Walled Garden at Croxteth Hall and Country Park’. 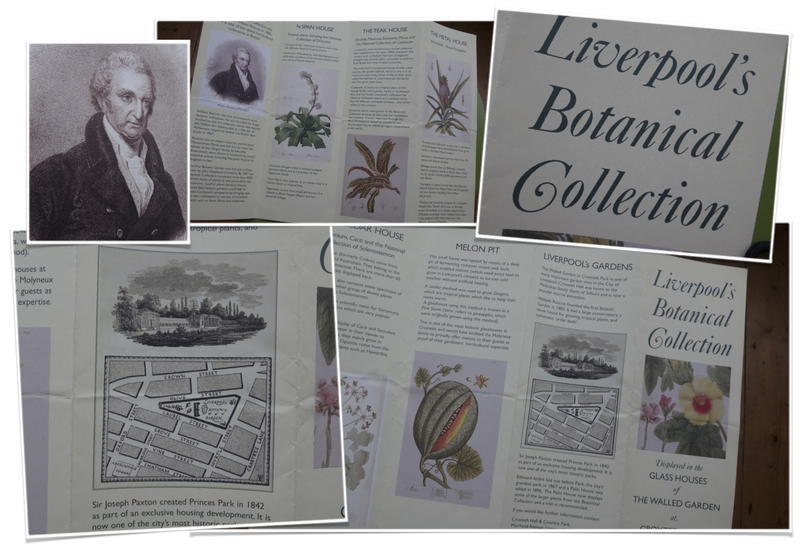 On the back of the leaflet is a map of Liverpool’s first Botanic Garden, just off Crown Street, founded in 1802 by William Roscoe. Plus a sketch of some very grand glasshouses. Me and Ronnie had stumbled across the walled garden at Croxteth Hall early this year on a wet January afternoon on one of our rambles, and it certainly didn’t look anything like the exotic bounty illustrated on the leaflet. It was closed too. A dog walker told me he thought it wasn’t open anymore. January 2014, The Walled Garden at Croxteth Hall. So it’s something that’s long bothered me. Just where are these botanic delights illustrated in the leaflet, which sound so exotic and exciting – The 3/4 Span House, The Teak House, The Metal House and The Cedar House? And does Mr Roscoe’s garden still exist? I’d met Andrew recently at Croxteth Hall where he was at the Artisans Market (yes, a free food, arts and crafts event, run regularly around Liverpool – Ronnie reports on the latest one at The Palm House here). While I was at Croxteth Hall I was delighted to discover that the walled garden which I had visited many years ago, and failed to see this year, was actually open and had a browse around. It was this that started a conversation between me and Ronnie and Andrew about ‘the orchids’ and ‘the Liverpool Collection’ and I was intrigued. Liverpool Echo, July 10, 2014. This was amazing! Shame we can’t see them all year, as Andrew said, ‘To be able to have little exotic excursion on dull autumn/winter days…’ Indeed. Andrew then sent a link about a talk on ‘Liverpool Botanic Gardens’ by one Stephen Lyus at Ness on the 5th of October. So off I went to find out more about this history of ‘amazing highs and lows’. Stephen, who has retired to the Wirral ‘to grow camellias’, turns out to be an excellent speaker and source of information. For over an hour I was riveted as the following story was told. The original Liverpool Botanic Garden, and Mr Roscoe. In 1802 a botanic garden was indeed founded in Liverpool. Roscoe, in the middle of his struggles to end the Transatlantic slave trade, was one of the founders – along with medical doctors Bostock and Rutter, John Shepherd (an expert in fern propagation), William and George Bullock, Thomas Nuttall (a plant collector). Many of these men were non-conformers, linked as Unitarians. Stephen highlighted the involvement of the doctors Bostock and Rutter. 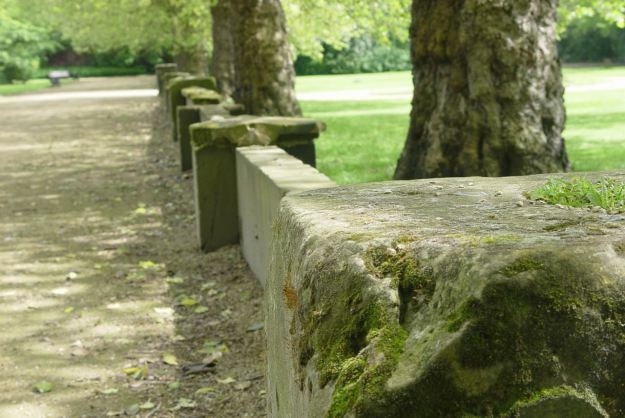 Botanic gardens evolved from ‘physic gardens’ – like the Chelsea Physic Garden in London which was founded in 1673 – and here the medicinal properties of plants were studied and taught. As Britain had started to trade with the whole world and with the consequent growth of the British Empire, plants were coming into Liverpool from all over the world. So it was a logical step to create a place for the increasing collection. And this was how Liverpool’s first botanic garden came to be. The Corporation provided a five acre site at the top of Mount Pleasant, just off Crown Street (roughly where Abercromby Square is today), and a private organisation was formed with 300 shares at 12 guineas each, and an annual subscription of two guineas. In May 1802, the garden opened, with Roscoe giving the inaugural speech (which is 65 pages long and can be found in the Liverpool Central Library). Of course this being the early 1800s we don’t have any photographs of this garden. 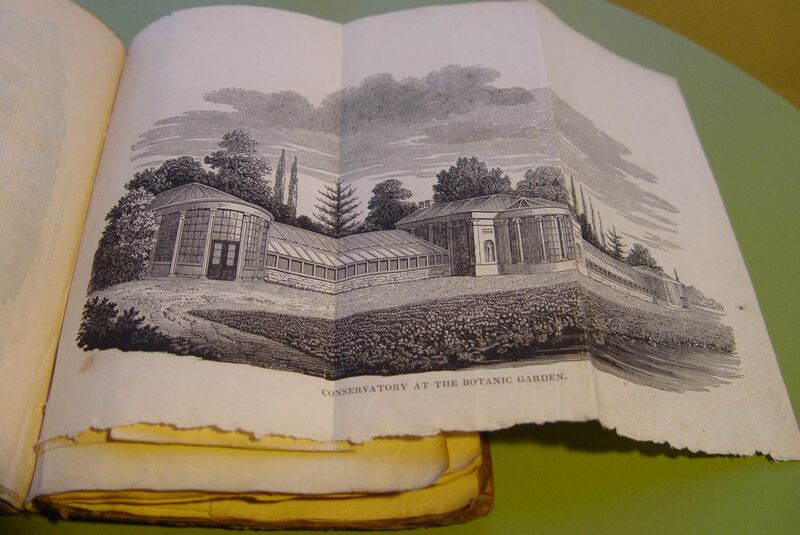 We do though have this illustration of its Glasshouse, from Ronnie’s copy of ‘The Stranger in Liverpool’ – the 1820 guide to the city given to him by my Father, Frank, when he was dying. The Glasshouse at Liverpool’s first Botanic Garden. So as you can see, it was grand. There were two lodges at the entrance, a stove house where pineapples could be grown, a pond, a rockery, a bog garden, this 240 foot glasshouse, and of course – in the tradition of a physic garden – the order beds. I first came across ‘order beds‘ in Chelsea Physic Garden, a delight to a cataloguer like me! Plants are grouped in a logical order into families within which the species show resemblances to each other based on the structure of the flowers. In the 1800s botanists would be using the Linnaean system of biological classification. The collection of plants in Liverpool’s Botanic Gardens continued to grow as plants were received through the port of Liverpool – Stephen was amazed to report a statistic that claimed that 40% of all trade came through Liverpool at that time. Liverpool was gaining a reputation as a botanic centre as important as Kew founded in 1759, Glasnevin in Dublin founded in 1795 and Calcutta founded in 1787, (now called the Acharya Jagadish Chandra Bose Indian Botanic Garden). 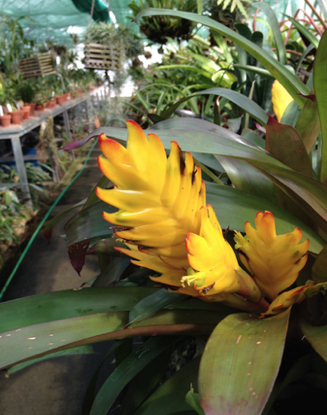 Of course much of the work in botanic gardens was identifying new plants of commercial value. And of particular note in Liverpool’s Botanic Garden was the growing collection of orchids, many of which came from the ‘proprietors’ (the share holders) through sea captains and plant collectors. 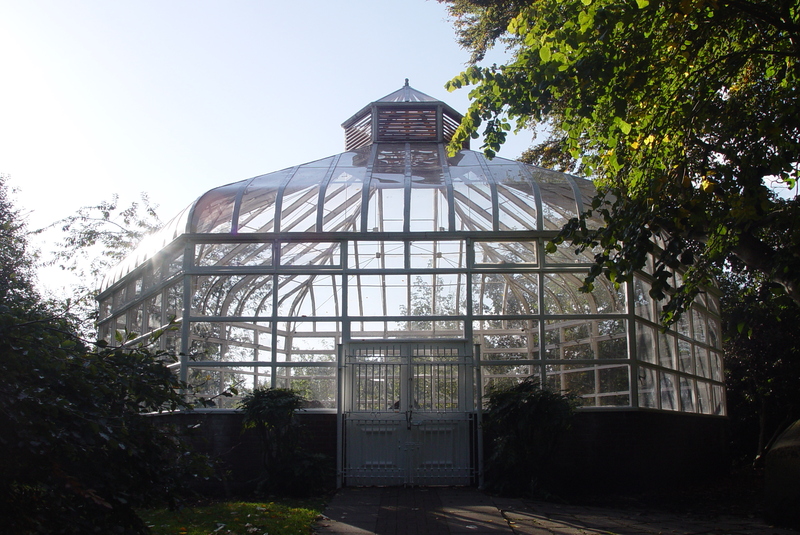 Glasshouse at Botanic Gardens Wavertree. But by 1835 the city of Liverpool was growing quickly and the once out of town location of the Botanic Garden was now surrounded by the expanding city, which meant the air pollution was not ideal for the exotic plants. 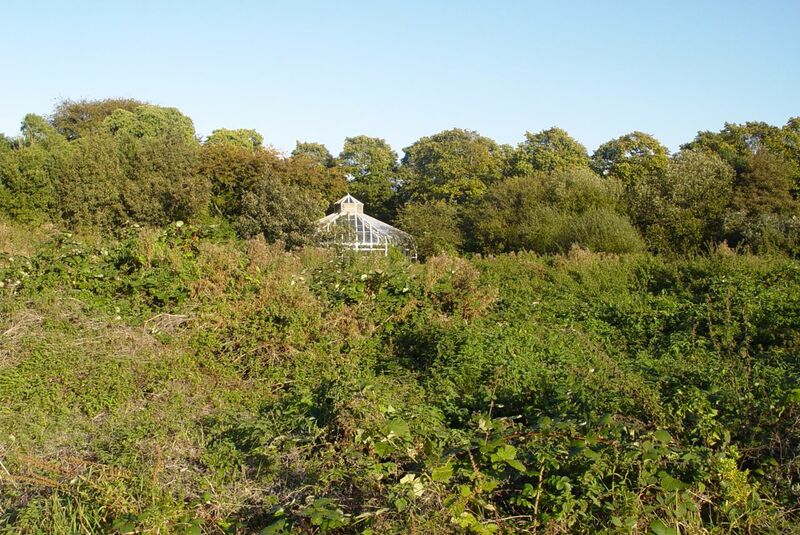 So the decision was taken to move the Botanic Garden from Mount Pleasant to land on Edge Lane in Wavertree, where they created a walled garden and new glasshouses. This opened in 1836, though Roscoe didn’t live to see this as he’d died in 1831. 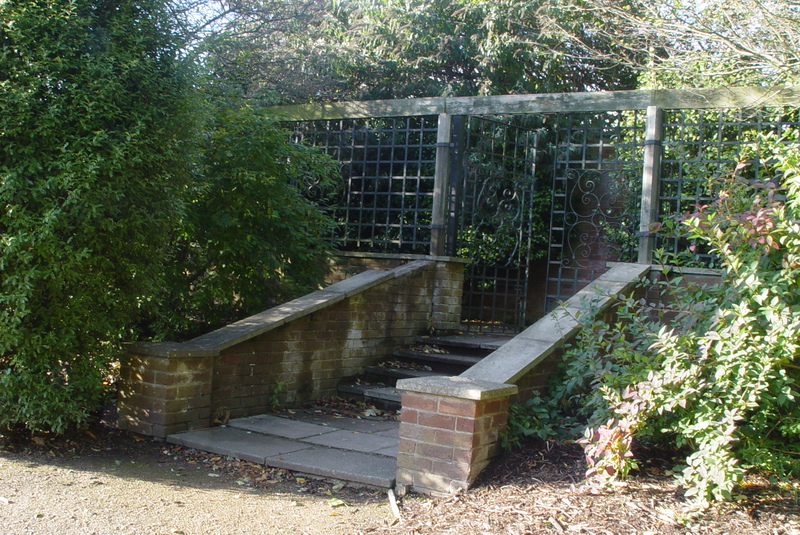 But John Shepherd, one of the original founders was still the curator for this new garden. At this time some of the proprietors of the gardens, were also moving out of the city and into their larger homes, especially in south Liverpool and Aigburth. So this meant that they were able to take some of their plants with them to their own private gardens and glasshouses, and membership of the organisation declined. So in 1841 the Liverpool Corporation bought the Botanic Garden and opened it to the public – initially for two days a week. In 1846 they increased this to full access. The garden was a huge success with the public who flocked to see the exotic flowers of ginger, bromeliad, and of course orchids. The Botanic Garden was so successful that in 1886 the RHS held their first ever show outside London, a ‘Provincial Show’ in Liverpool, coinciding with The Shipperies Exhibition nearby. The Botanic Garden also held a growing Herbarium and Library (some of both collections are still with us today having been transferred to the City Museum and Library in 1909). Coming into the 20th century, things started to become difficult. During World War One many gardens suffered due to the lack of men as gardeners (in Cornwall The Lost Gardens of Heligan are an example of this). Also between the wars the air pollution increased which wasn’t good for the plants. But it was a stray bomb that sealed the fate of this Botanic Garden. On the 20th of November 1941, a bomb intended for the railway yard next door landed on the glasshouse. Many plants were quickly rehoused in private collections and many of the orchids went to Sudley House in Aigburth. The ‘Botanic Garden’ on Edge Lane is still there, at least the wall is and the layout of the beds. There are some old trees and it is maintained. Ronnie and I visited this ‘Jewel of Edge Lane’ on a sunny May day earlier this year, and you can see the post about that here. Summer 2014. The wall in front of where the Glasshouse was – visible on the photograph above. After the war there was a man employed in the corporation to look after the parks who had grand plans for Liverpool. He was called Percy Conn and took on a famous orchid grower called Blackwood Dalgliesh. 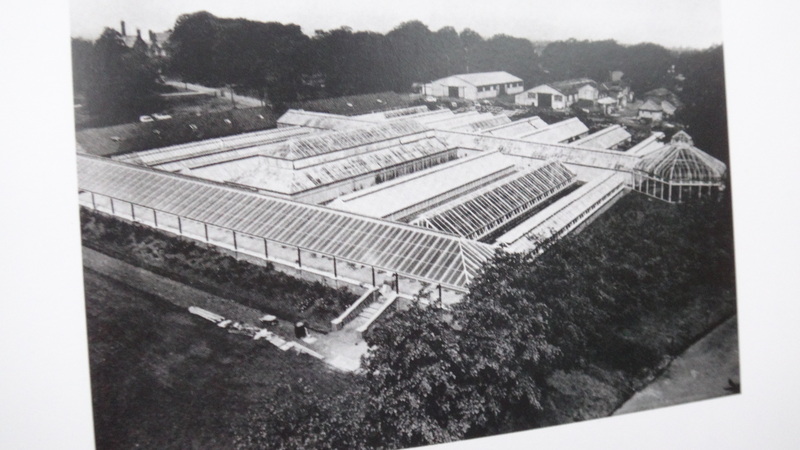 And Mr Conn – always known as ‘Sir’ – began building a third Botanic Gardens on the Harthill Estate in Calderstones Park. However, it was noted that ‘Sir Conn’ was not given the budget he requested from the corporation (£32,000), but a paltry £1,350. Nevertheless he was determined to create a space to house and grow Liverpool’s Botanical Collection. And so the new Harthill glasshouses – all 16 of them, each 100 foot long, connected by a central corridor – opened in 1964. Due to budget restrictions, they were built of low grade spruce (a softwood), rather than teak (a hardwood). And when Stephen showed the following picture, an audible gasp went round the room. Liverpool Botanic Gardens at Harthill, aerial shot, opening day souvenir, 1964. Photographer unknown. I have taken this photograph from Jyll Bradley’s most excellent book ‘Mr Roscoe’s Garden’ published in 2008. (Coincidentally, when I arrived home from Stephen’s talk at Ness, I was presented with my own copy, a birthday present from my favourite urban beekeeper – thanks Andrew). Stephen asked if anyone in the audience remembered these. Many hands were raised. I later found out I was sitting behind a man who worked there, he had exceptionally fond memories of them. They were undoubtedly a place of great beauty, well loved and well used. They consisted of seven glasshouses down one side which were open to the public, containing different collections including ferns, bromeliads and orchids; and nine down the other which were used for propagating and growing. A dream! Stephen said that anyone who worked there wanted the prize job of being ‘in charge’ of a particular glasshouse. I had never heard of them. But looking again at the photograph, I recognised the hexagonal structure on the right, and also the steps up to the terrace along this side of them. 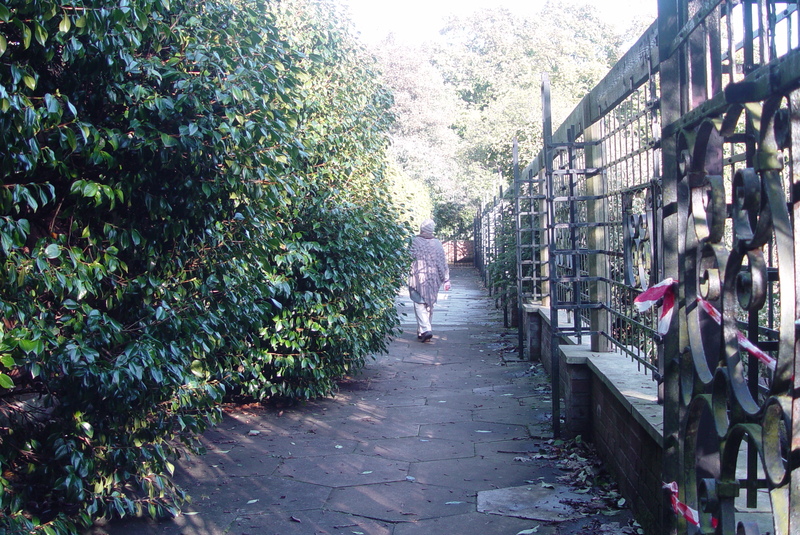 Yes, it’s the ‘Calderstones’ house, and the ‘camellia terrace’ at Harthill Gardens. We went to see them the day after Stephen’s talk. 6 October 2014, the camellia terrace at Harthill Gardens. Unloved and now leading to nowhere. 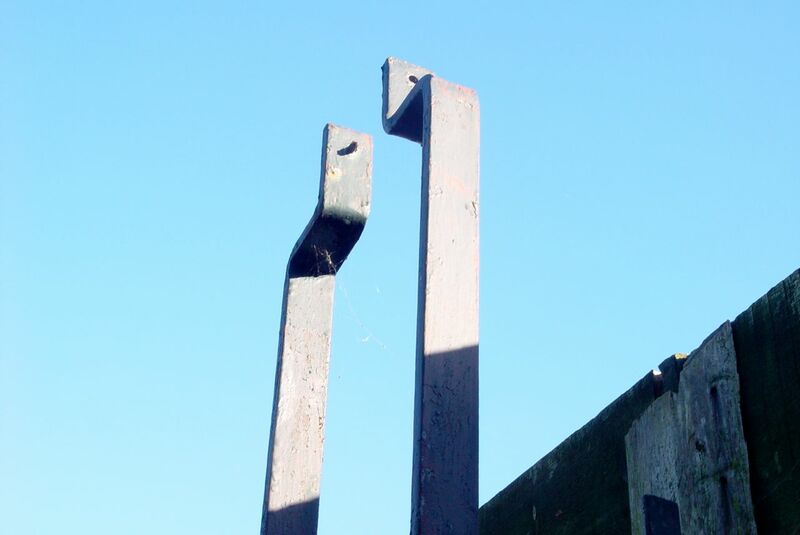 Still there, long redundant bits of Glasshouse. All that’s now left intact of the third Liverpool Botanic Garden. These days a home for the ‘Calderstones’. Now, where the glasshouses once stood, a field of brambles. At this point in the story we are about to reach an amazing low. For 15 years from 1964, the glasshouses were enjoyed by many visitors, and Liverpool became famous for our orchids, displayed at shows nationally and won much honour for the City. By 1979 though, the ‘low grade spruce’ used in the construction of the glasshouses began to rot – inevitably. And in 1981 the situation was described as ‘dire’. 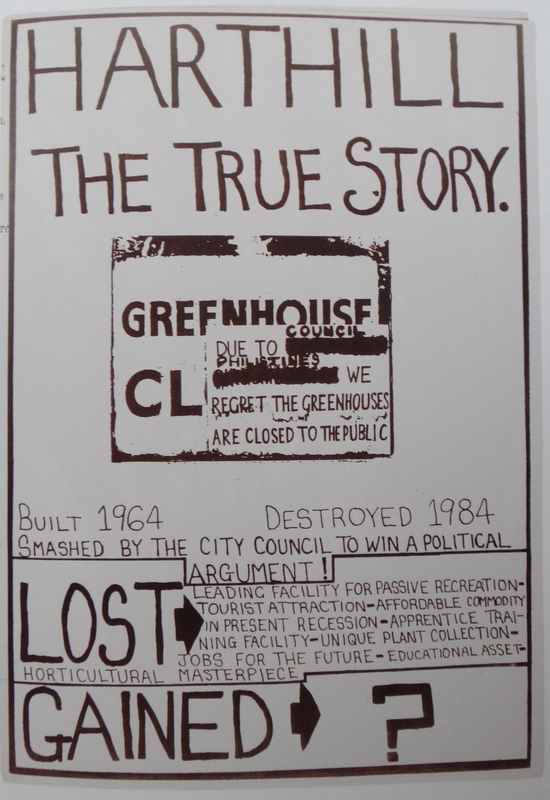 By 1983 there was talk of closing the glasshouses. “In the early 1980s I was both a member of the Labour Party and a Trade Union delegate to the Liverpool Trades Council. Both of which meant I saw a great deal of the activities of Militant. They even, unsuccessfully, tried to persuade me to join them at one point. Though well meaning as individuals (many of them), I think it’s fair to say that as an entryist group within the Labour Party their abiding conviction was that the position of the entire working class had to be changed through mass action, before what they saw as ‘isolated’ issues like equal rights for women or black people could be dealt with. So at times they could be zealots of the worst kind who, when you voted against their ‘line’ – as I sometimes did, would come and harangue you while a meeting was still in progress. These were of course incredibly bleak times for Liverpool. With unemployment running wild Militant had made themselves popular, and rightly so in many ways, by deciding to take on a Conservative Government who appeared to want to destroy the place. So you can imagine how little time Militant had in these straitened circumstances for preserving what they viewed as ‘a collection of flowers for middle class people’. Harthill had no chance with them and its closure was blustered through with their usual slogan that their focus was on ‘Jobs and Services’ – and nothing else. So, Liverpool’s unique plant collection and horticultural masterpiece was lost. The gardens closed in October 1984. And many people were justifiably very angry about it. I’m sure we could say much more about this, but for the purpose of the story, I’ll move on to what happened next. The plant collection was moved to Greenhill Nursery in Garston, a council depot where bedding plants were raised. Here, between 1984 and 2007, five people looked after over 10,000 plants. In 1984 Liverpool had hosted an International Garden Festival, much like it had back in 1886 along with the Shipperies Exhibition. It was seen as a success by many, boosting Liverpool’s reputation for gardening excellence. Whilst along the road in Greenhill at this time, our real Botanic treasure languished unseen. ‘The largest and oldest plant collection in municipal ownership in the UK’ Jyll Bradley. 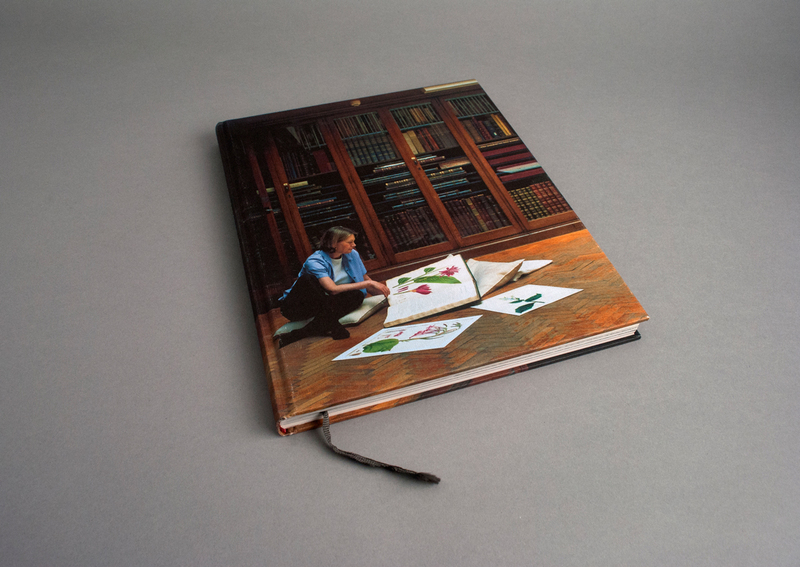 Coming up to date, in 2008 Liverpool celebrated its Capital of Culture year and, as part of this, Jyll Bradley’s book was commissioned – an excellent photographic collection and essay on ‘Mr Roscoe’s Garden’. But what happened next? 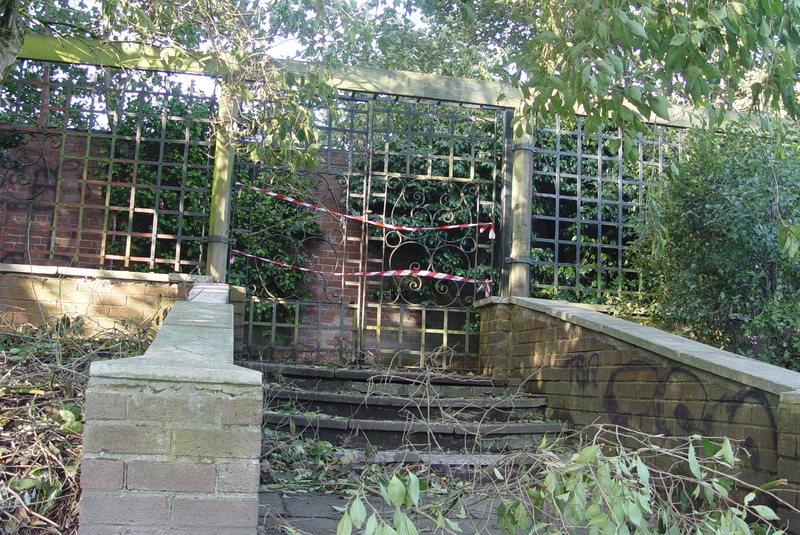 In 2007 and 2008 Liverpool City Council engaged a private company, Glendales, to take over the work of ‘Parks and Gardens’. The plant collection began to be broken up, some of the plants at Greenhill were moved to the renovated Palm House in Sefton Park (although this is not an ideal environment for many of them, Stephen pointed out, as many of the plants have very specific requirements). Some plants were given to the Eden Project in Cornwall, Chester Zoo took some, Sheffield and Kew took some of the orchids. In 2012 Greenhill closed and is about to be redeveloped for housing. Lots of plants were destroyed, but the remainder of this historic collection finally found a home in four glasshouses, in a yard behind the Walled Garden in Croxteth Hall – The 3/4 Span House, The Teak House, The Metal House and The Cedar House, as listed in the leaflet that I had looked so longingly at for so many years. And here there are not only one National Collection, but three. Here we have Orchids, Marantas, the National Collection of Codiaeum, Bromeliads, Pelargonium, Cacti, the National Collection of Solenostemon, and the National Collection of Dracaena. 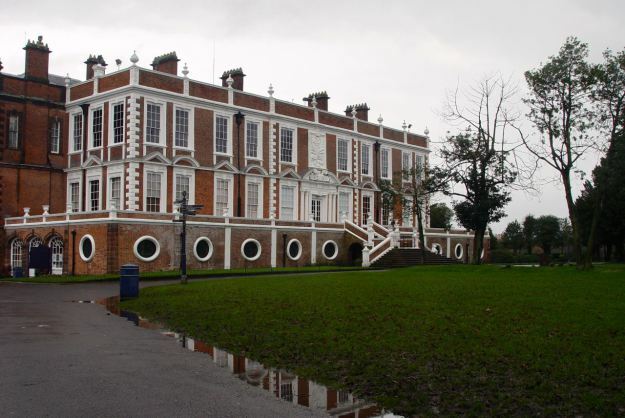 Croxteth Hall, where the collection now lives in the grounds next to the Walled Garden. On the 26th of September 2014, the day Andrew visited, they were open to the public for 45 minutes, before closing for the winter. At his talk Stephen showed photographs of the plants, and also a further two polytunnels jammed full of other plants, too tall to fit into the glasshouses – all cared for by three staff. All skilled and devoted, all growing older and with no apprentices, as yet, to pass their knowledge on to. 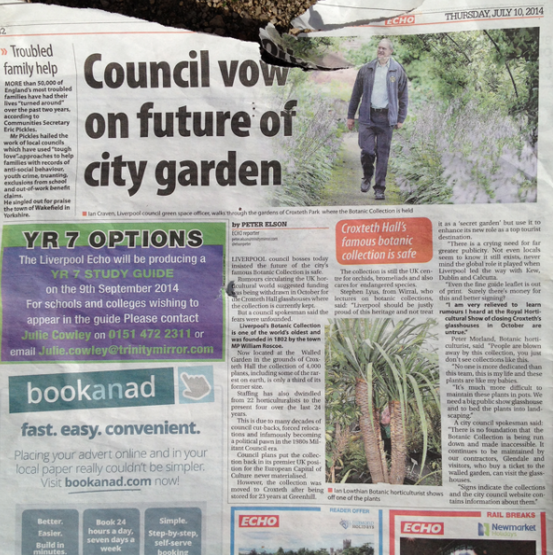 So – as the Echo reported in July – Liverpool’s famous botanical collection is safe. Much reduced, long travelled and battered, but safe. We’re doing our best Mr Roscoe. So, is this the end? Well of course it isn’t. What happens next? Do you care? 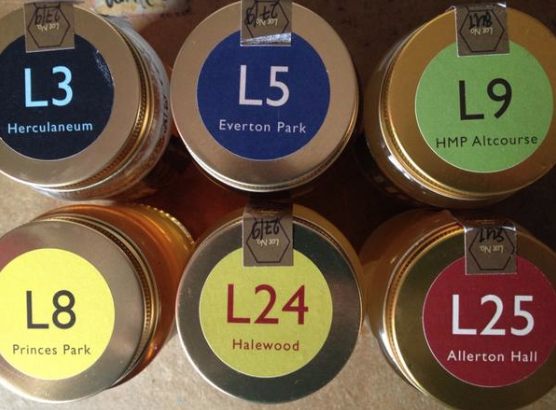 Where will Liverpool’s Botanic Collection end up? 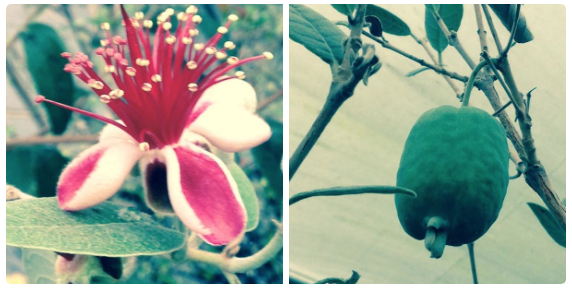 Will the public be able to share and observe these beautiful plants on a regular basis? Could Liverpool once again become famous for its orchids? The essay in Jyll Bradley’s book talks lovingly of people for whom a visit to the exotic collection was essential, a lifeline for people who basked in their visits to the glasshouses. Can we create that again? We have skilled gardeners who have lovingly, over decades, cared for and maintained these plants? Surely they deserve a proper home? A place where they can be observed, admire, loved, studied and enjoyed? And whilst this may well be the story of a garden founded by Mr Roscoe, I think it’s much more than that. It’s an internationally outstanding collection of amazing plants, with a deeply significant historical story, which demonstrates the tenacity of plant lovers and their desire to retain this collection. It’s significant. A botanic garden is an institution holding documented collections of living plants for the purposes of scientific research, conservation, display and education. We have the collection – now we need to conserve, display and educate. It’s part of our duty to the future. Stephen Lyus @sinogrande – for his lecture at Ness. Stephen gives his talk for free, and will happily come over to Liverpool to present. Andrew Hubbard @dunbarrover – for honey, tenacity and Jyll Bradley’s book. Ronnie Hughes @asenseofplace1 – unique political take on Liverpool history. Donna Young @HerbariumDonna – looks after Liverpool Herbarium and turns out I was sat next to her at Stephen’s talk at Ness. Ness Botanic Gardens @Ness_Gardens – for hosting Stephen Lyus at their free talk. An excellent post – well done, both of you, for bringing all this together in one place. Thanks Gerry, a labour of love. Great read many thanks to you both for the love, care and attention to detail… Let’s hope it continues to blossom. Another great read, in my youth my brother and I would be taken to visit parks, botanical gardens and glasshouses by our nature loving grandfather. It’s a great pity so many have been lost. I was born in 1976. Have a distant memory of visiting a flower show of some kind in Calderstones Park in the late 1970’s (I was very young). From my recollection it was in a huge marquee on the main field which leads to the lake, but, I’ve never been entirely sure and the mists have time have clouded it further! Now I’ve seen the photographs of the greenhouses it seems more probable that it was held there. Nobody else seems to remember a flower show being held except me. Anybody? I grew up always in that park and I’m shocked to hear the sad tale of the Botantic collection; especially about closure in the Garden Festival year! (Which I remember visiting clearly) Can’t believe I didn’t visit or really even know it existed which is even worse! Great resume of a sad story of neglect and deliberate destruction. I understand why Ronnie’s account avoids controversial details and there is little point in resuming a battle lost 30 years ago but it is worth adding that the curators of the Botanical Collection at Harthill were sacked by the council for not toeing the line and by the time they were reinstated by the courts found that the greenhouses had been bulldozed in an act of political spite. So pleased to hear that some remnant of this fantastic collection survives. That’s a lovely article! I knew some of the more recent stuff – the cynicism and sheer nastiness of what happened in 1984 cemented my view of Militant; and I later worked at Croxteth, where I enjoyed many relaxed lunch breaks in the walled garden – but I didn’t know about much of the history. Thanks for writing this.